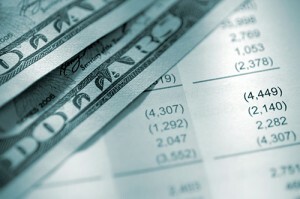 This post is part one of LM’s “5 ways to improve your cash flow” series. Read on to part two, “Get credit before you need it,” here. -A cash-flow report is a snapshot of the company’s present situation. Your cash-flow statement shows you exactly how much money comes in, how much money goes out, on what dates the inflows and outflows occur and how much money is left over. -A cash-flow forecast attempts to understand the company’s cash in the future. A forecast uses the same layout as a report, but with projections that are based on historical data. A good cash-flow forecast tells you how much money you’ll need to cover expenses if you have less money coming in than you have going out. If you’re using accounting software, you should be able to generate these reports from within that software. If you’re a startup and don’t have historical data, you’ll have to project your income and expenses. A good way to create these reports is to use free templates you can find online. For a one-year period, the report layout should have 12 columns (one column for each month). 1. Make an income report. This report lists all the money that flowed into the company for a certain period of time, typically a one-year period, including sales revenue and any other type of cash that came into the business. If your company is an existing business, use your historical accounting data to create a list of your monthly income streams. The process involves simply listing every instance of money flowing in and out of the company, on the accurate date the occurrence happened. 2. Make an expense report. This document lists all the money that flowed out of the company for the same time period. Where did all the money go? Review the checks that were written, all credit card transactions for the past year and any cash outlays. Take everything into account, including your cost of goods (how much it costs to manufacture or purchase your inventory). 3. Make a cash-flow report. Starting with your actual cash on hand at the beginning of the first month, add the income then deduct the expenses to get a closing cash balance for each month. That number is also the starting balance for the next month. Do this for each month in the time period. You’re looking for any monthly closing balances that are negative or alarmingly low. 4. Make a cash-flow forecast. If you have historical accounting data, use it to project what your future revenue will look like. Use the same format and layout as the cash-flow report, but use projections for the numbers rather than your existing data. For startups, you’ll have to estimate your revenue and expenses with the goal of understanding how much cash you’ll need to carry to break-even. Make sure your forecasts are realistic. If anything, overestimate your expenses and underestimate your sales. When you begin operating, get in the habit of cracking open these reports once a month to update and review your performance. This practice is called cash-flow analysis. Take the time to review your situation and be alert to red flags. By taking the steps to develop a cash-flow report you’ll gain invaluable insight into your company’s cash situation—and avoid that cash crunch altogether. McCahon is founder and CEO on Enloop, a business-plan writing application. This article was originally published at score.org/blog by SCORE, a small business mentoring organization. It’s reprinted here with permission.